We have up for sale a 80GB IDE / PATA Hard Disk Drive. You will need your own caddy and install disc ready to install on your IBM. 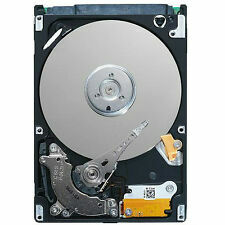 This 2.5" hard drive is an IDE/ATA drive equivalent, rotation speeds may vary. ThinkPad R60 R60i R61 R61e R400 T400 T400s T410 T500 All Models. 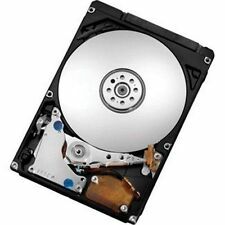 160GB Hard Drive for IBM Laptop. Buffer Size. Ultra Quiet : Advanced noise reduction using a Voice Coil Motor (VCM) Damper. Buffer Size:8MB. THINKPAD Z60t Z61e Z61m Z61p Z61t. THINKPAD R400 R500 T400 T500 All Models. Condition Capacity RPM Buffer Size Warranty. Ultra Quiet : Advanced noise reduction using a Voice Coil Motor (VCM) Damper. We have up for sale a 40GB IDE / PATA Hard Disk Drive. You will need your own caddy and install disc ready to install on your IBM. This 2.5" hard drive is an IDE/ATA drive equivalent, rotation speeds may vary. Laptop Hard Drive Cover Caddy. 1 Hard Drive Caddy with 2 Rubber Rails. 4 Hard Drive Caddy Screws. Laptop Keyboard. Laptop Power Jack Board. Laptop Fan. 1 Hard Drive Cover Screw. 1 Hard Drive Cover. Up for sale is NEW IBM/Lenovo Thinkpad Hard Drive Caddy Rails for X220 X220I X200 Tablet X230 X230I X220/X230 Tablet Models with 7mm hard drives. Laptop Hard Drive Cover Caddy. 1 x Hard Drive Caddy. Laptop Keyboard. We have up for sale a 80GB IDE / PATA Hard Disk Drive. You will need your own caddy and install disc ready to install on your IBM. It does not include the connector. Simply pull the connector off your broken hard drive if it uses one and insert it on the end of your new one. Compatible Model: IBM/Lenovo/Thinkpad T510 T510i W510 T520 T520i W520. 1x Hard Drive caddy 4 screw. 2x Hard Drive Rubber Rails. 1x Hard Drive Cover. IBM Lenovo Thinkpad X60 X61 X60s X61s T400 T410 T420 T500 T510 T520 W520 W530 Hard Drive Caddy Screws. Laptop Hard Drive Cover Caddy. Server Parts & HDD Caddy/Tray. 1x Hard Drive Caddy(7mm). Laptop Keyboard. 2x Hard Drive Rubber Rails (7mm). Laptop Power Jack Board. Laptop Fan. 1x Hard Drive Cover. 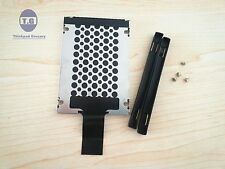 Hard drive cover caddy rails with screw for IBM/Lenovo/Thinkpad T420s T420si T430s T430si. 1x Hard Drive Caddy(7mm). 2x Hard Drive Rubber Rails (7mm). 1x Hard Drive Cover. 5x Hard Drive Screws. Give us a chance to make things right for you, and we will do our best to provide a fitting solution. Compatible with: IBM/Lenovo Thinkpad T420s T420si T430s. - IBM/Lenovo Thinkpad T420s T420si T430s. -10pcs Hard Drive Cover Caddy. -Plug and play, easy to use. ◈ 250 Labels Per Roll. ◈ 450 Labels Per Roll. T60 T60p T61 T61p T400 T400s T410 T410i T500 T510 T510i T520 T520i T530. W500 W510 W700 W701 L420 L412 L512 L520. Laptop Hard Drive Cover Caddy. New 2.5" Hard drive Caddy with Rubber Rails and Screws for IBM/Lenovo Thinkpad T60 T60p T61 T61p T400 T500 X60 X60s X61 X61s X200 X300 X301 R60 R61 R400 Z60m Z60t Z61m Z61t. X220 X220i X220T X230 X230i T420s T420si T430s. 1 x Hard Drive Caddy. 2 x Rubber Rails. 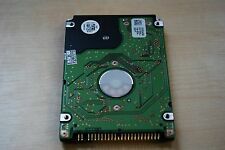 We have up for sale a 60GB IDE / PATA Hard Disk Drive. You will need your own caddy and install disc ready to install on your IBM. It does not include the connector. Simply pull the connector off your broken hard drive if it uses one and insert it on the end of your new one. T60 T60p T61 T61p T400 T400s T410 T410i T420 T500 T510 T510i T520 T520i T530. New 2.5" Hard drive Caddy with Rubber Rails and Screws for IBM/Lenovo Thinkpad T60 T60p T61 T61p T400 T500 X60 X60s X61 X61s X200 X300 X301 R60 R61 R400 Z60m Z60t Z61m Z61t. Ref FRU#: 04W6887. Laptop Hard Drive Cover Caddy. Server Parts & HDD Caddy/Tray. One Hard Drive Caddy (7mm). Laptop Keyboard. Two Hard Drive Rubber Rails (7mm). Laptop Power Jack Board. Laptop Fan. Compatible Models: IBM Thinkpad Lenovo T61p, Widescreen. 1 x Hard Drive Caddy. 1 x Hard Drive Cover. Plug and play, easy to use. 3 Modular construction, you can just remove the CD driver and put this in the slot. T420s T420si T430s T430si. IBM Lenovo ThinkPad. Give us a chance to make things right for you, and we will do our best to provide a fitting solution. IBM Thinkpad 390E. IBM Thinkpad 390X. IBM Thinkpad 390. 1 x Hard Drive Connector. This is our SOP, for us to be certain and for record purposes. IBM/Lenovo Thinkpad T420s T420si T430s. Compatible : IBM/Lenovo Thinkpad T420s T420si T430s. 10pcs Hard Drive Cover Caddy Screws. 350 Bags / Roll Clear Plastic Produce Bags On Roll 16"x20" Kitchen Food Storage. Lenovo Thinkpad T430 T430i 04W6887. 1x Hard Drive Caddy(7mm). 2x Hard Drive Rubber Rails (7mm). 1x Hard Drive Cover. 6x Hard Drive Screws. Reference FRU: 43Y9654. 4 Hard Drive Caddy Screws. 1 Hard Drive Caddy with 2 Rubber Rails. 1 Hard Drive Cover Screw. T60 T60p T61 T61p. IBM Thinkpad. Cover size: 15.4" WS (widescreen). We will do our best and help you provide the solution.